Use One-day Postage to get it by 26 Apr. 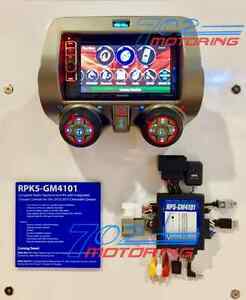 This integrated radio replacement kit is designed for use with Chevrolet Camaros built between 2010 and 2015. The replacement kit can be installed by the vehicle owner or licensed repair shop. Immediate payment of US $299.95 is required.